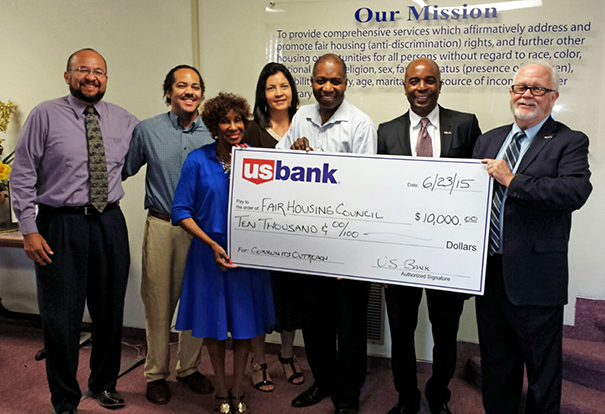 US Bank recently contributed $10,000 to Riverside County Fair Housing’s First Time Homebuyer Program. The First Time Homebuyer workshop is an eight-hour free HUD approved home ownership education course held on Saturdays in different areas throughout Riverside County. The workshop is presented by lenders, housing counselors, real estate agents and home inspectors who discuss how to obtain a loan, different types of loans, down payment assistance programs offered by cities, credit improvement, avoidance of predatory lending, the importance of a home inspection and awareness of Anti-discrimination practices in lending. NextOn The Road: Celebrating Ida B.